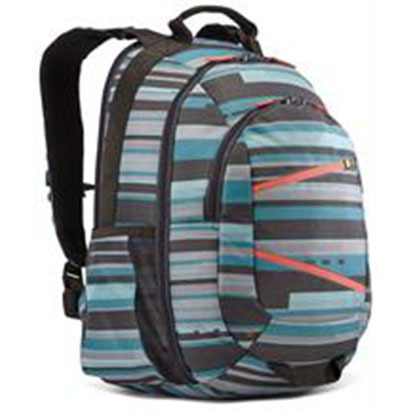 Case Logic DSLR Compact Backpack-Holds DSLR, Lens and Accessories, Dedicated, Padded, Rear iPad Compartment, Padded, Touch-Fastening Dividers, Personal Gear on Top, Cameras on Bottom, Interior Mesh Pocket for Accessories, Side Accessory Pockets, Padded Mesh Back Panel and Shoulder Straps, Top Handle, Dobby Nylon Construction-Indigo Blue, Retail Box, 1 year Limited Warranty. 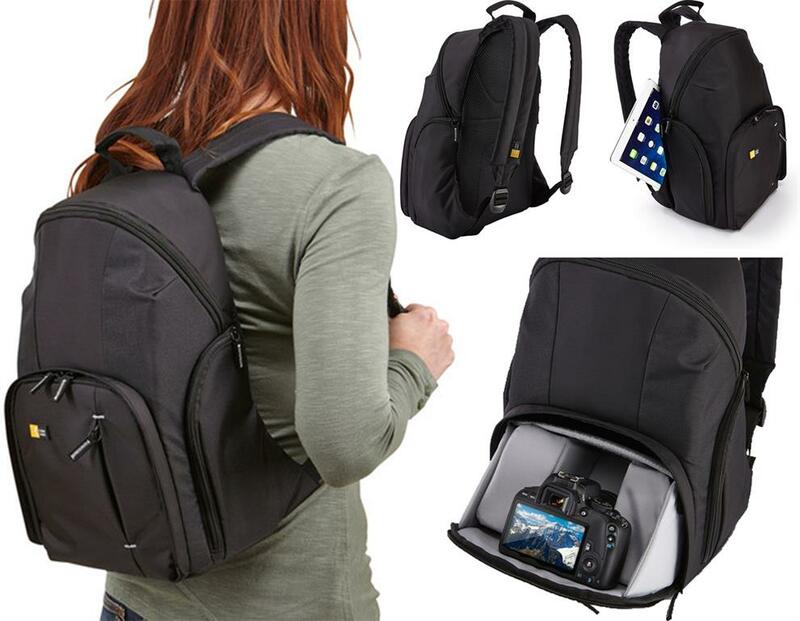 The Case Logic TBC-411 Compact DSLR Camera and Apple iPad Backpack is ideally sized to carry all items with you and capture the memories of every journey. 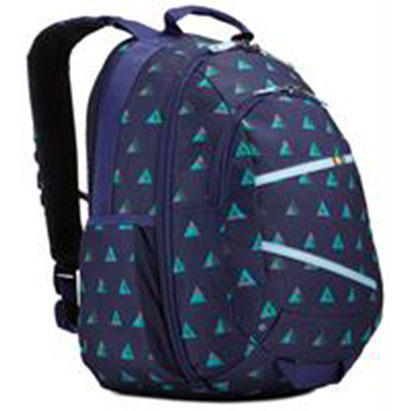 The stylish design of this bag is contemporary and made of durable dobby nylon to protect your devices against daily wear and tear. 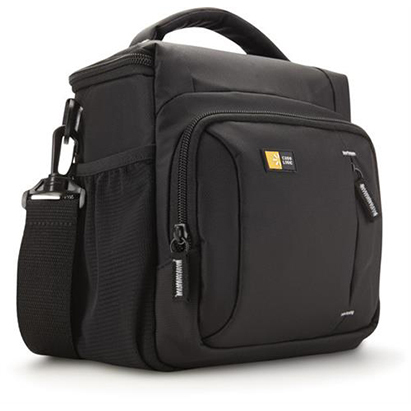 The TBC-411 is designed to fit a DSLR camera and accessories with a unique foldout camera compartment for quick retrieval. 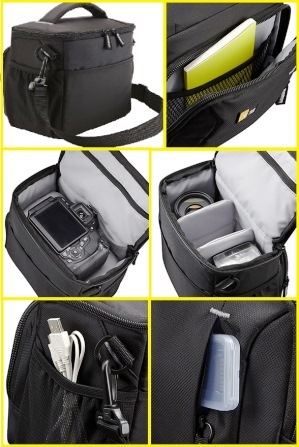 Use the upper compartment for storage of large personal items and the side zippered pockets for extra batteries, cables, lens caps or other small accessories. 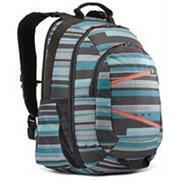 This backpack also has a dedicated iPad compartment along the back panel for quick and easy access. The lightweight design will protect your equipment without adding extra weight to your load. 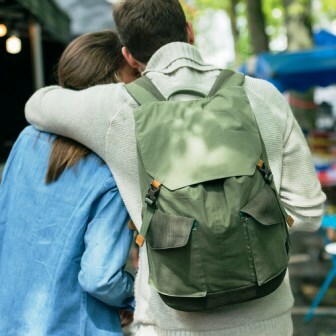 Step into the urban jungle prepared with full electronics protection and the capacity to carry all essentials for your day’s adventure. 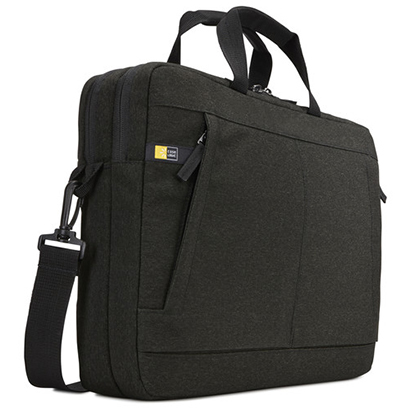 Dedicated pockets for a 15" MacBook®/15.6" Laptop and an iPad®/10" tablet, plush-lined pockets for a phone and small electronics and convenient exterior stash pocket keep your gear organized and safe. 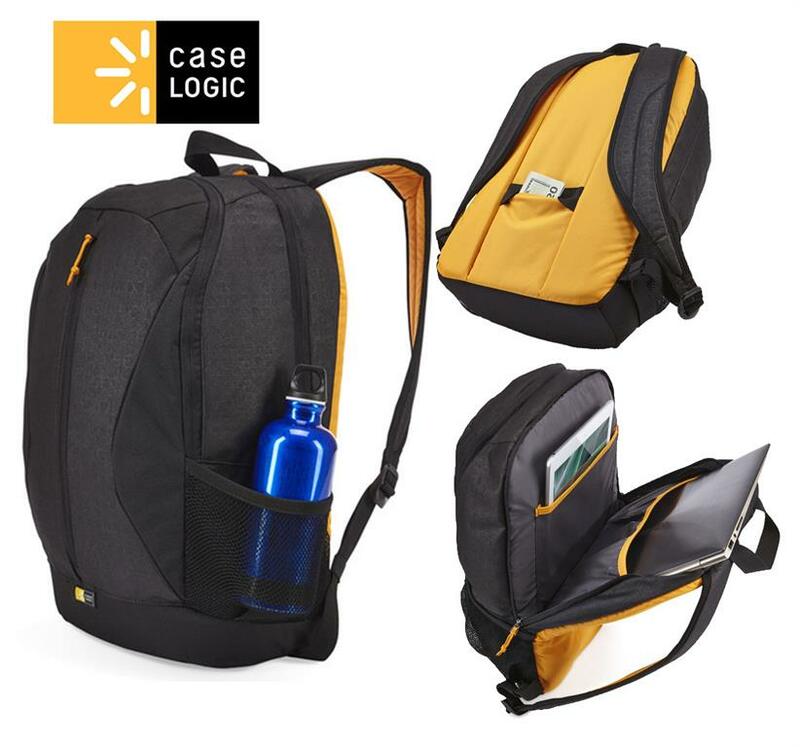 Case Logic's (BOGB115R) Griffith Park 15.6" Laptop & Tablet Backpack hard-to-beat comfort lies in the generous air mesh padding and lightweight contoured foam back panel to keep you cool and make your load a breeze to carry. 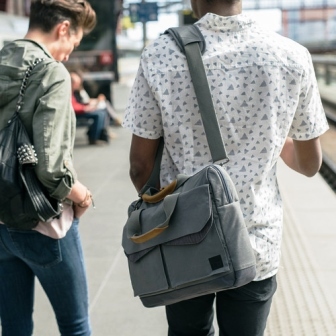 Step into the urban jungle prepared with full electronics protection and the capacity to carry all essentials for your day’s adventure. 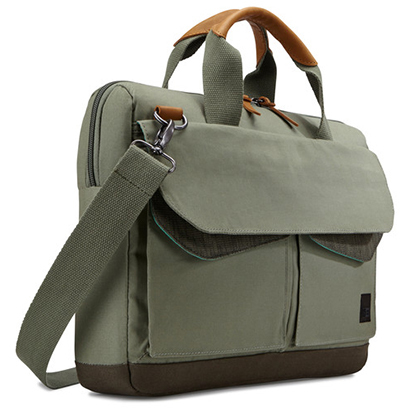 Dedicated compartments for a 15" MacBook® /15" Laptop and an iPad®/10" tablet plus an easy-access, plush lined phone pocket keep your gear on hand. Case Logic's (BOGP115K) Griffith Park Pro 15.6" Laptop & Tablet Backpack hard-to-beat comfort lies in the generous air mesh padding and lightweight contoured foam back panel to keep you cool and make your load a breeze to carry. 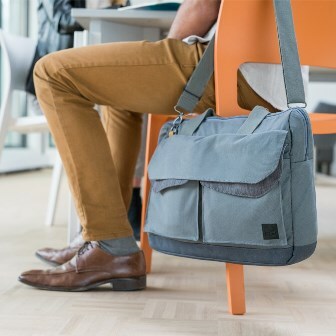 A large volume bag with heathered fabric is perfect for protecting and transporting your 15.6" laptop and other essentials to work, travel or school. 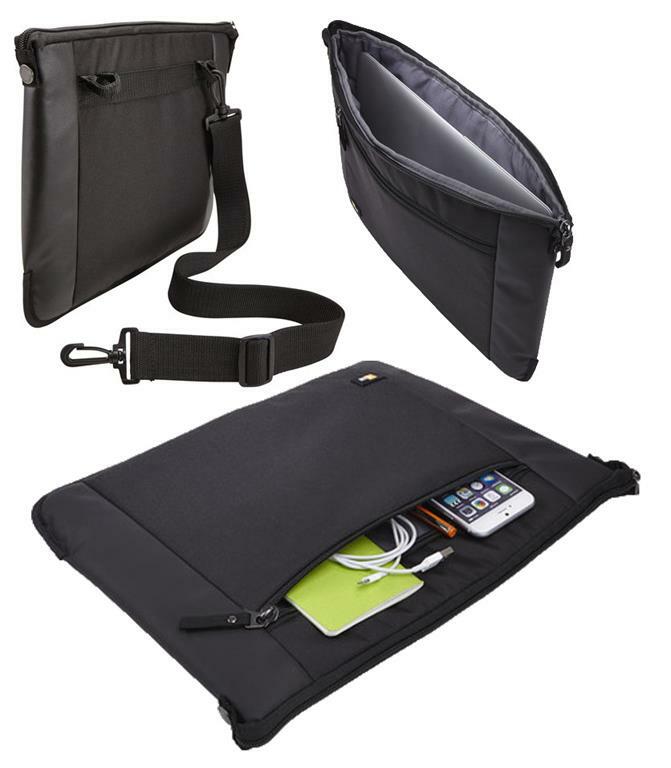 Extra storage compartment for accessories, cables and charger, Padded carry handles for comfortable transportation, Removable shoulder strap adjusts for a custom fit, Luggage strap securely attaches slim case to most rolling luggage, Dedicated iPad® or 10.1” tablet compartment, Multiple zippered pockets store accessories, Durable polyester material withstands your ever-changing schedule. 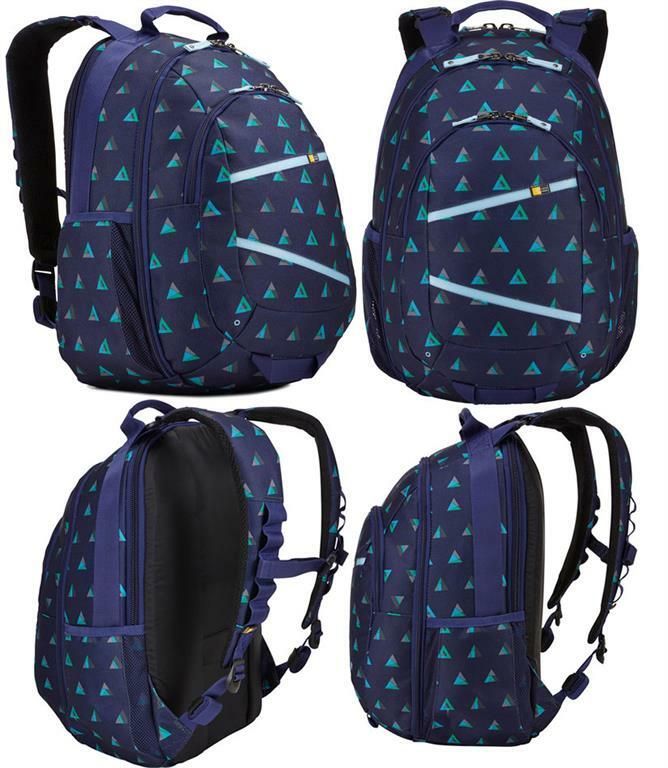 • Laptop Screen Size 15-16"
Contemporary design and relevant features combine to deliver a stylish laptop backpack perfect for work, school or travel. 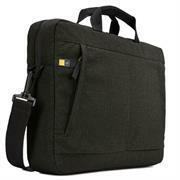 Thickly padded laptop compartment protects laptops with up to a 15.6" display, Protective iPad® or 10.1” tablet storage. 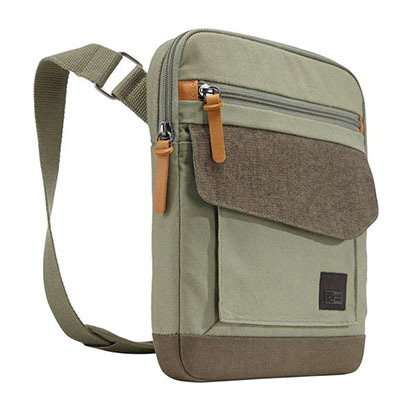 High quality cotton canvas exterior, Genuine leather touch points, Discrete zippered phone pocket, Easy-access external accessory pockets with magnetic snap-closure, Internal zippered pocket for extra secure storage, Padded back panel and shoulder straps ensure a comfortable carry. 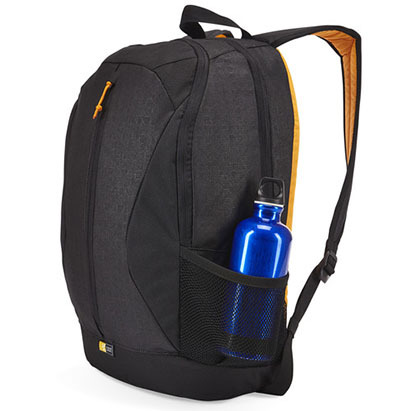 This small, lightweight DSLR shoulder bag features smart storage placement so you can carry your DSLR, 1-2 extra lenses and other small accessories without feeling weighed down. 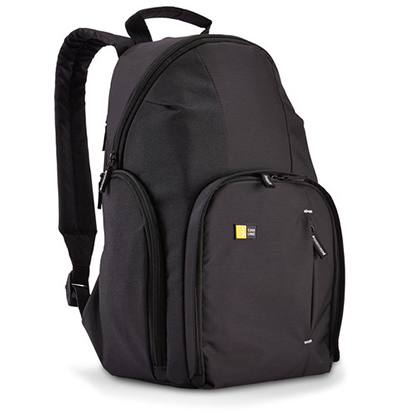 The black TBC-409 DSLR Shoulder Bag from Case Logic holds more than its weight in gear and, at a good price point. 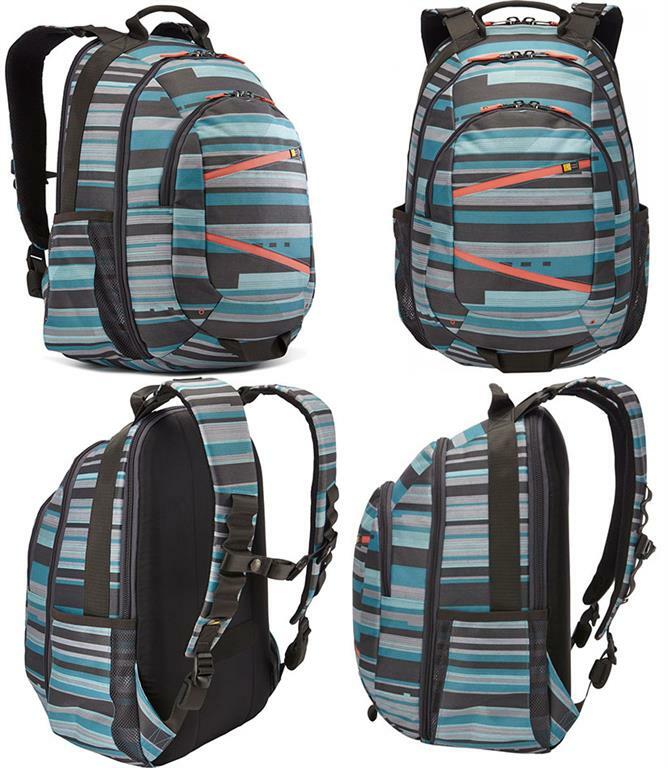 This Dobby woven nylon bag offers storage space for your DSLR and up to three lenses. 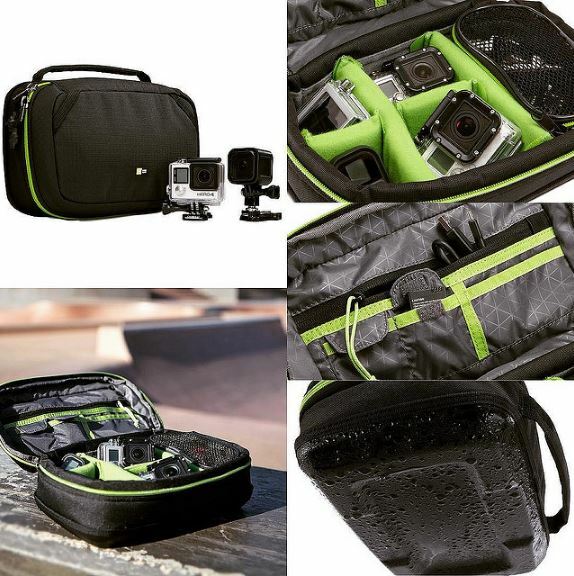 Your camera body and one lens are cleverly suspended in Case Logic's Hammock System that holds the combination above the bottom of the bag while leaving extra storage space beneath the hammock. 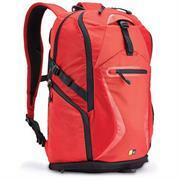 This kind of design also enhances shock protection should the bag bang into any hard surface. 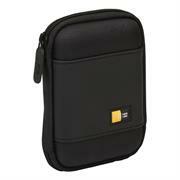 For storage, there's an interior zippered pocket for an extra CF card, cleaning cloth or other small accessories. 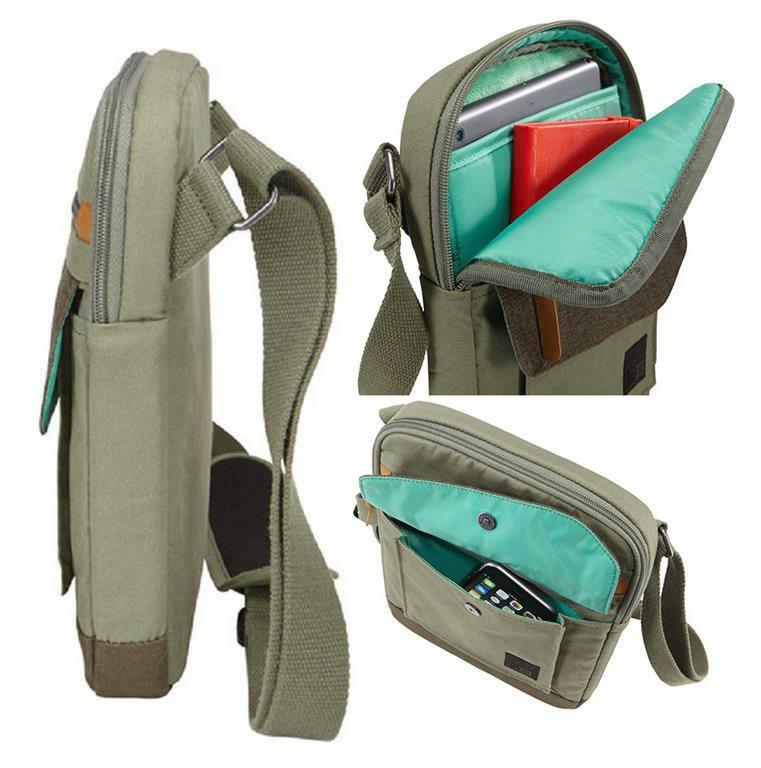 The front of the bag has another zippered accessory pocket with additional built-in mesh pockets for pens, small note pad or your smartphone. 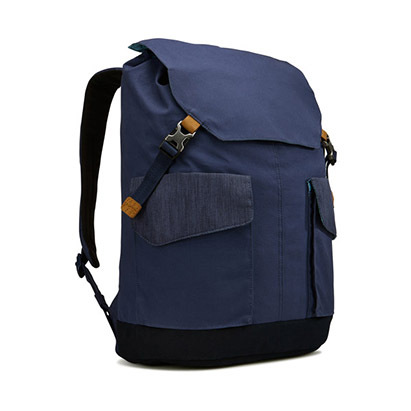 The front also has a slip pocket for your lens cap. 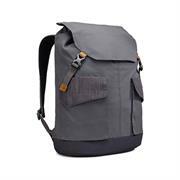 The rear of the bag has a slip pocket large enough for your camera's manual or, perhaps, a map or note pad. Contemporary design and relevant features combine to deliver a stylish attaché perfect for work, school or travel. 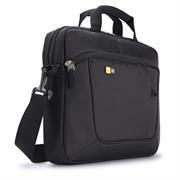 Thickly padded laptop compartment protects laptops with up to a 15.6" display. 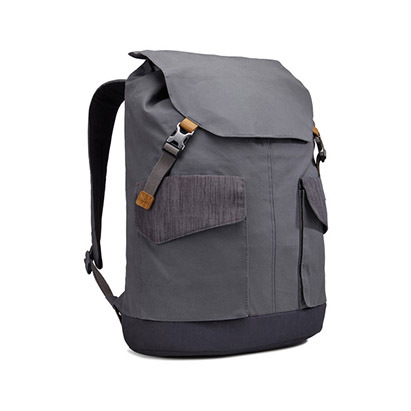 Leather-wrapped handles and zipper pulls. High quality cotton canvas exterior. Easy-access external accessory pockets with magnetic snap-closure. 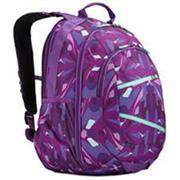 Outer zippered pocket provides a convenient place to carry accessories and personal items. 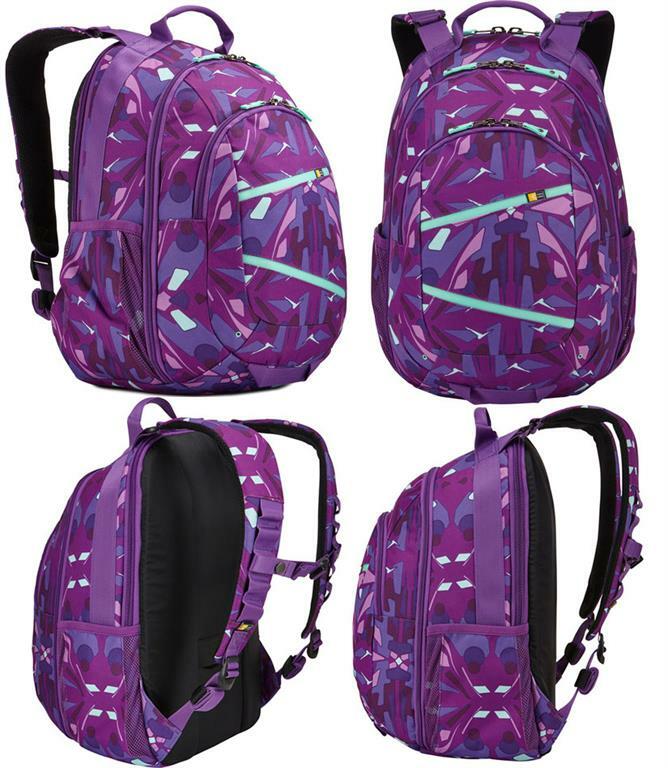 Removable shoulder strap adjusts for a custom fit. Luggage strap securely attaches slim case to most rolling luggage. Separate file compartment stores folders, magazines and loose papers. 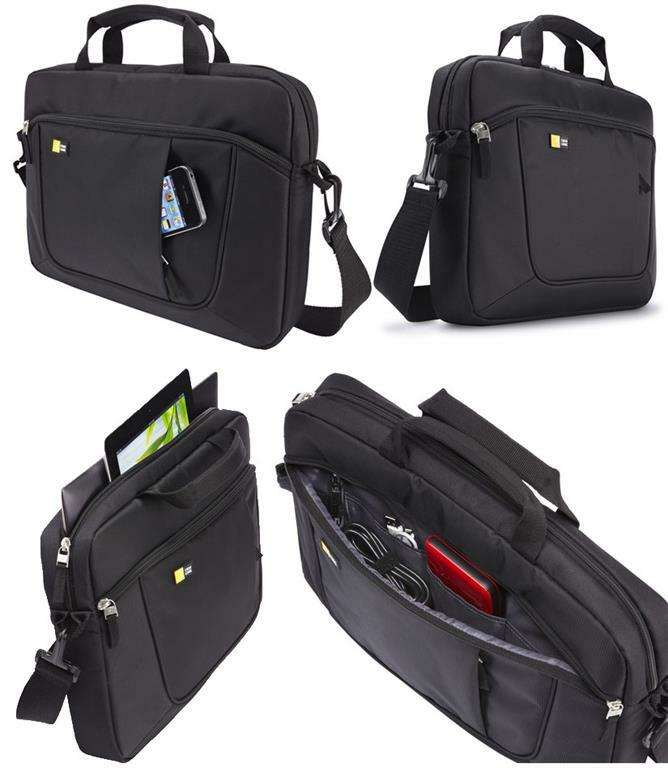 Case Logic 15.6 inch Laptop and iPad Slim Case – Separate Laptop and iPad Compartments, Separate File Compartment, Front Accessory Pocket with Zipper , Front Vertical Smartphone Pocket, Front Organizer Panel with Zipper, Adjustable, Removable Shoulder Strap, Two Top Carry Handles, Rear Trolley Sleeve- , Retail Box, 1 year Limited Warranty. • Laptop Screen Size: 15-16"
If you're looking for a safe way to carry your equipment around, then Case Logic's HUXA115K bag is a great choice. Add convenience to your workday with this 410 x 300 x 70 mm, 0.47 kg bag in a sleek black finish. 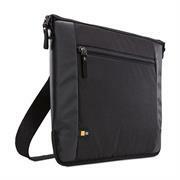 It's suitable for notebooks with a display size of 39.6 cm (15.6"). 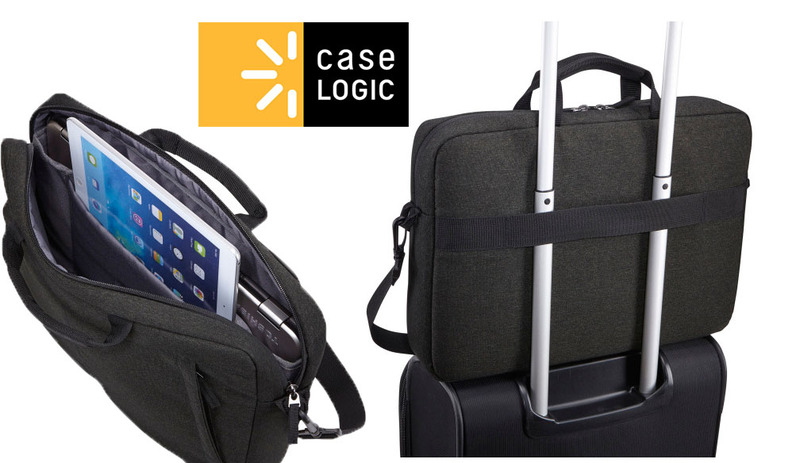 Practical and compact — safely pack your essential devices in this bag from Case Logic, so that, even on the go, you always have them within reach. 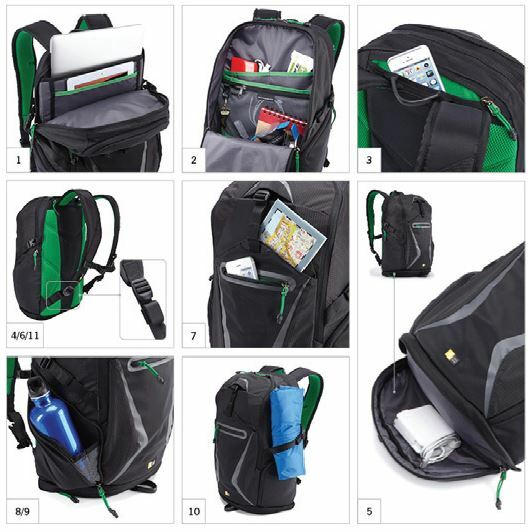 Always on the go? 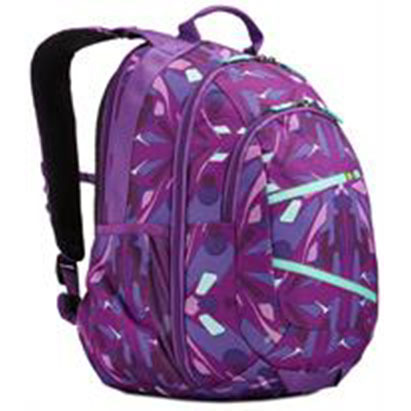 Thanks to its padded straps, carrying this toploader bag around is easy on your shoulders, because the weight is distributed evenly. 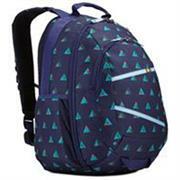 It's made of a durable polyester, which can be easily cleaned with a damp cloth. 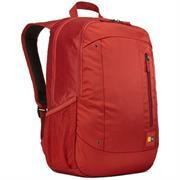 Case Logic Jaunt 15.6 inch Laptop Backpack-Integrated compartment for your 15.6” laptop plus sleeve for your tablet , Quick access front pocket stows go-to items such as your phone or gum, Interior cord storage pocket keeps small power cords handy and prevents tangling, Mesh side pockets conveniently store water bottles easily within reach, Organizational panel keeps your smaller accessories easy-to-find and built-in pen loops assure you’ll never miss jotting down important notes-Blue, Retail Box, 1 year Limited Warranty. Case Logic Mobile Life Attaché 15.6 inch Laptop and Tablet PC Bag -Protective storage for both your laptop and iPad or tablet, Thickly padded laptop compartment sized to fit laptops with up to a 15.6 to 16 inch display , Files remain crisp and unbent in their designated pocket, separated from your electronics , Quickly stash away a newspaper, snack or ticket inside the back panel pocket , Zippered security pocket keeps your smartphone or passport secure against your body-Black, Retail Box, 1 year Limited Warranty. 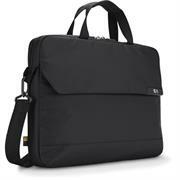 A sleek and stylish carrying case for toting your laptop through the city. Main compartment fits a 15.6" laptop, Protective foam tubing wraps around bottom and corners to safeguard hardware, Easy-access, top-loading design, Front pocket stores cord and accessories, Dedicated phone pocket and pen loop, Removable padded shoulder strap provides a comfortable carrying option, Luggage pass through on back panel doubles as a carry handle, Articulating strap provides a form-fitting, comfortable carry. 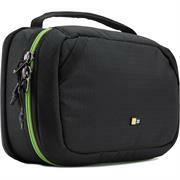 Case Logic Eva Medium Compact Portable 2.5 inch Hard Drive Case-To Store Or Transport Smaller Portable Hard Drives ,Slim line case protects your device on its own or in your favourite bag , Durable, hard-shell exterior to protect valuable data , Interior elastic strap keeps the hard drive in place during transport , Zippered closure keeps your device clean and secure, Mesh Pouch that can accommodate a USB Or Firewire Cable-Black, Retail Box, 1 year Limited Warranty. The Compact Portable Hard Drive Case from Case Logic is a compact hardshell case that is designed to fit portable bus-powered hard drives that are up to 5.5 x 3.75 x 1.25" in size. It features a slimline design with a durable hardshell exterior, and interior straps to securely and safely transport a hard drive.